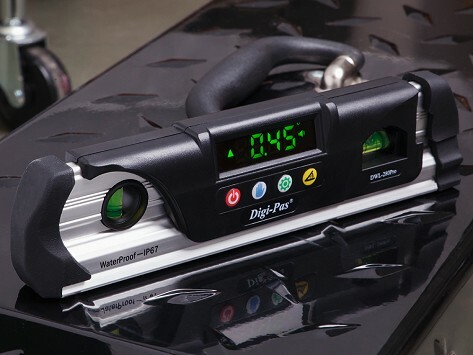 The Digi-Pas Torpedo Digital Level takes the guesswork out of leveling, letting you hang pictures, put up shelves, and do other home tasks with the accuracy of a pro. Embedded with the same technology found in models used from NASA to Boeing, Digi-Pas beeps at true zero. Then it measures angles and slopes with a digital readout on the bright LED display. Waterproof and dust-proof, it makes leveling foolproof. Dimensions: 9" x 2" x 1"
Was looking for a small digital torpedo level for that tight places were a larger digital torpedo can't fit. So far reading the manual and zeroing out the unit was simple. The two bubble might need a few more reference line to help in zeroing out the unit and quick reference. Easy to use well constructed level. Good size and shape for ease of use. 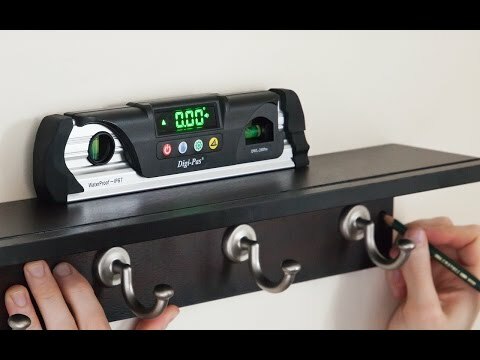 Display is easy to read and the magnetic ability is an added bonus. And this torpedo level has real heft, so it feels as professional as it looks. The outside is tough, impact-resistant rubber that makes the level waterproof, dust-proof, and even freeze-proof. It’s a tool that helps make your DIY projects foolproof.